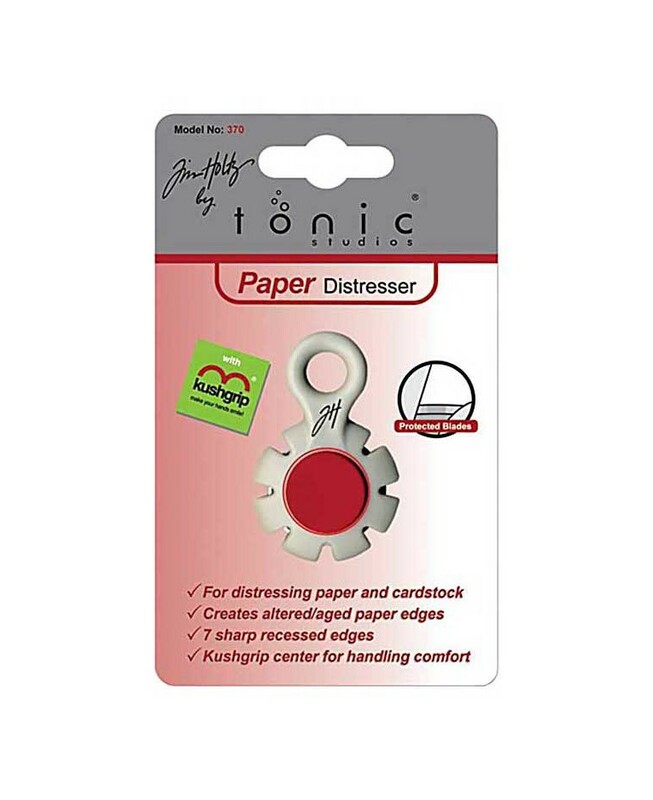 Distress paper and cardstock edges in a snap with the handy Paper Distresser. This safe and easy-to-use tool features a Kushgrip center for comfort and seven sharp recessed edges for precision handling. Use it for easy thread cutting and to create the look of altered and aged paper.